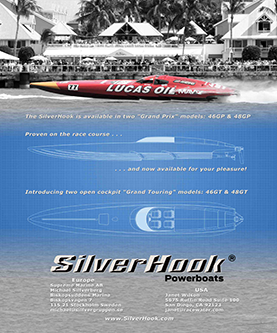 SilverHook - World Record Breaker UIM/APBA, USA to Cuba and back! *In any color except red! "Multinational offshore racing talent teams up to bring SilverHook from a computer-aided design to on-water testing in six months." 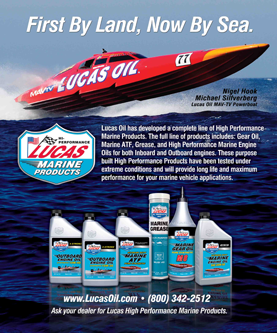 A new frontier in ocean speed and safety. A completely unique boat, designed from experience, engineered to be the fastest, most efficient, ultimate mono-hull of all time. All models are available in any color except red!